Prima Acoustic Wall Panels is a range of high performance fabric covered acoustic panels designed for use in applications where superior acoustic performance is desired and safety is of utmost concern. 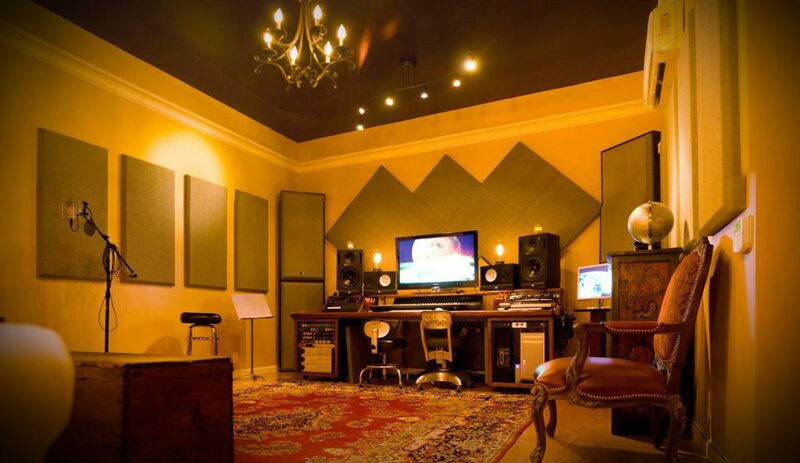 Made from high density 6lb per cubic foot (96 kg/m³) glass wool, Prima Acoustic Wall Panels have up to six times greater density than typical foam panels for balanced absorption throughout the audio listening range. Each panel is fully encapsulated with micromesh and edges are resin hardened to assure safe handling during installation. Panels are then covered in a tough yet acoustically transparent fabric and offered in three ‘architecturally neutral’ colors with choice of square or bevelled edges. Panels may alternately be re-covered with any breathable fabric to suit those with greater artistic flare. 1″ Panel – The 1” panel is designed to absorb frequencies in the speech range and higher. 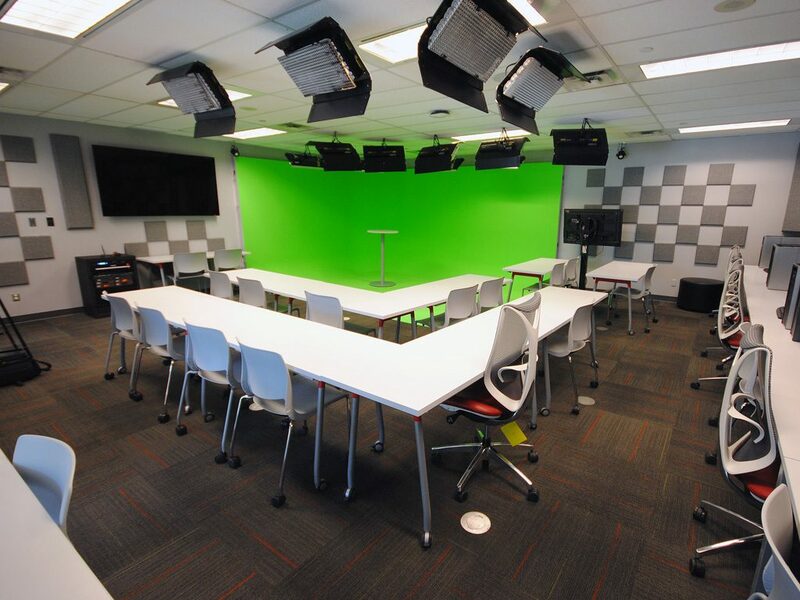 These panels are great for boardrooms and classrooms where the only sound created is from human voices. The efficiency of the panel’s absorption starts to drop off below 250hz. 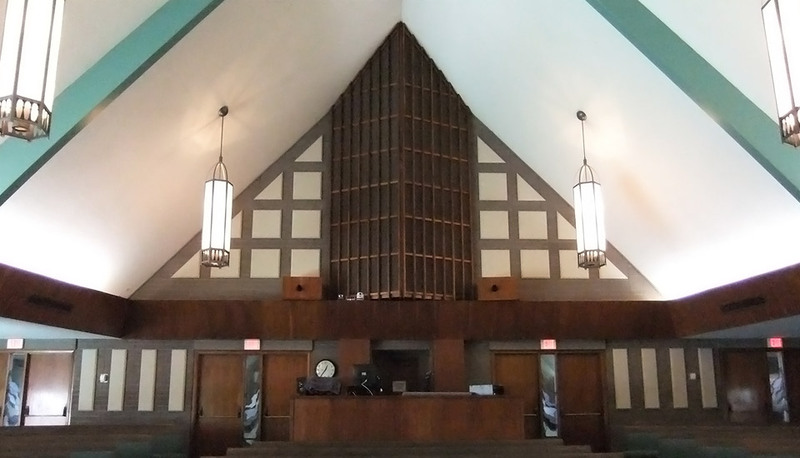 2″ Panel – The 2” panel has a much more balance frequency response and is designed for rooms where multimedia presentations, live musical performances or any venue where music is amplified. These panels absorb efficiently down to a much lower frequency than the 1” panel. This is the appropriate choice for most applications. 3″ Panel – The 3” gives yet another octave of practical absorption. 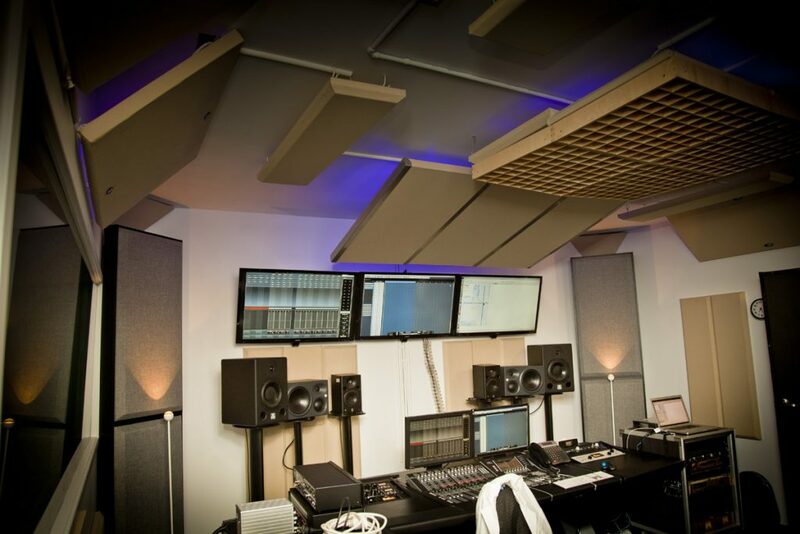 These panels are particularly useful in small spaces such as recording studios and small home theatres as they significantly reduce standing waves and low frequency issues. They can be “too aggressive” and can significantly affect the energy of the room but are extremely useful in the correct situation. Installation is easy! Prima Acoustic Wall Panels panels hang as easy as pictures using a choice of impalers. Should you decide to relocate the panels, clean up is simply a matter of filling a screw hole and touching up the paint. Four standard panel sizes are offered with choice of 1″ (25mm), 2″ (51mm) or 3″ (76mm) thicknesses. 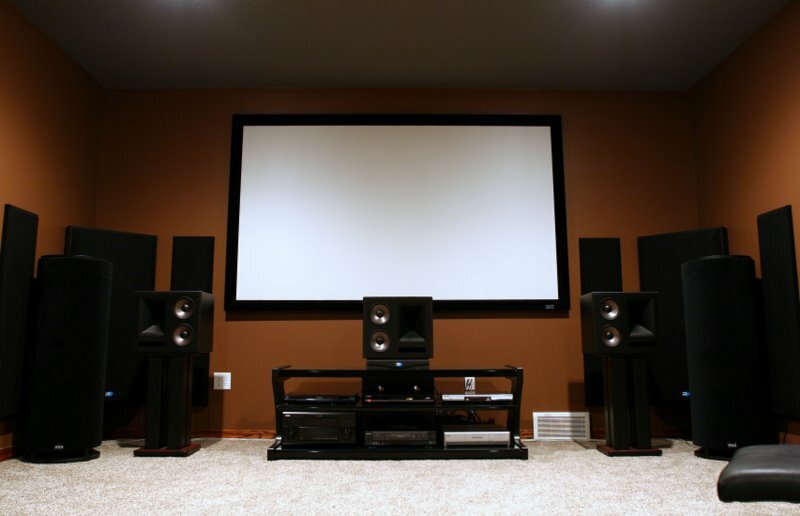 This allows the designer to attenuate voice or flutter echo using thinner, more affordable 1″ panels for installations such as offices or call centers, or opt for thicker 2″ or 3″ panels for music related installations such as theater, studio and broadcast where broadband absorption may be required. 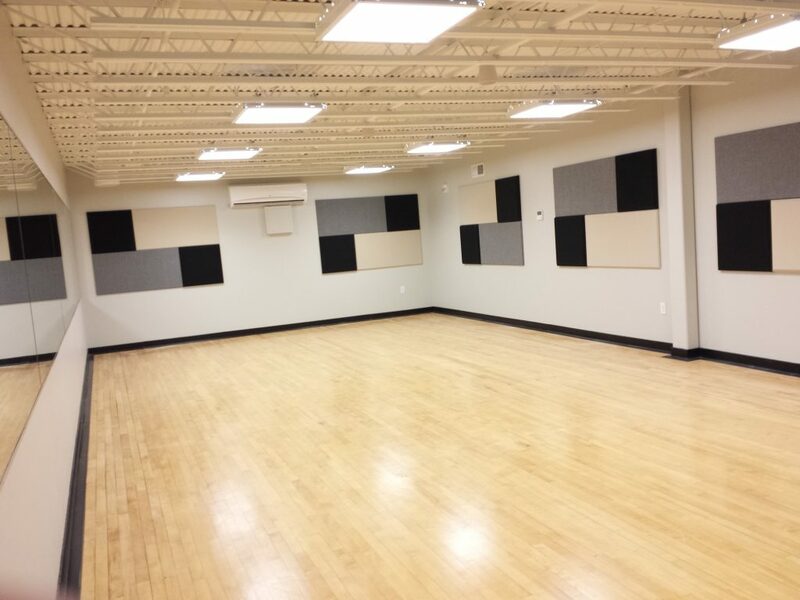 All Prima Acoustic Wall Panels panels are laboratory tested for acoustic performance and Class-A/1 fire safety by meeting stringent ASTM-E84 and Can-UL S102 requirements for flame spread and smoke development. This makes Broadway panels safe for use in commercial, government and institutional installations. 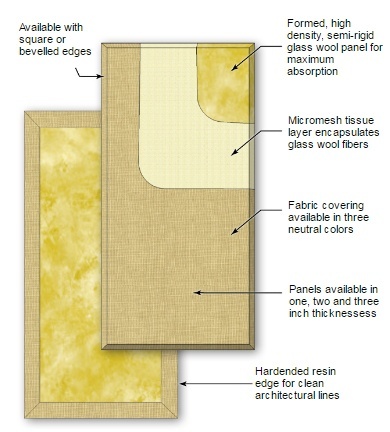 Acoustic panels are constructed of high-density 6lb per cubic foot (96 kg/m³) glass wool with resin hardened edges. This process works in tandem with the micromesh to fully encapsulate the glass wool to eliminate fibers from escaping. Panels are then covered in an acoustically transparent fabric in a choice of three colors for an architecturally attractive appearance. Various mounting options are offered including impalers for wall mounting and Cloud Anchors™ for suspending panels from ceilings. These are designed to make installation easy and cost effective. 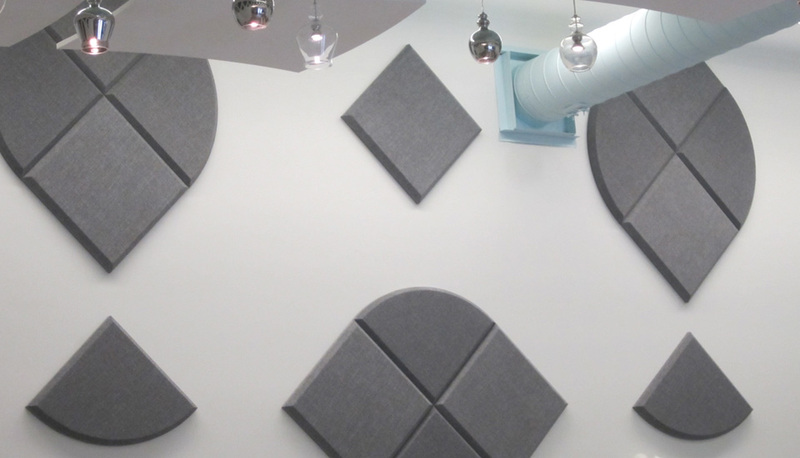 To address safety concerns, Acoustic panels have been tested to meet stringent Class-A/1 fire ratings making them suitable for use in residential, commercial and industrial spaces. 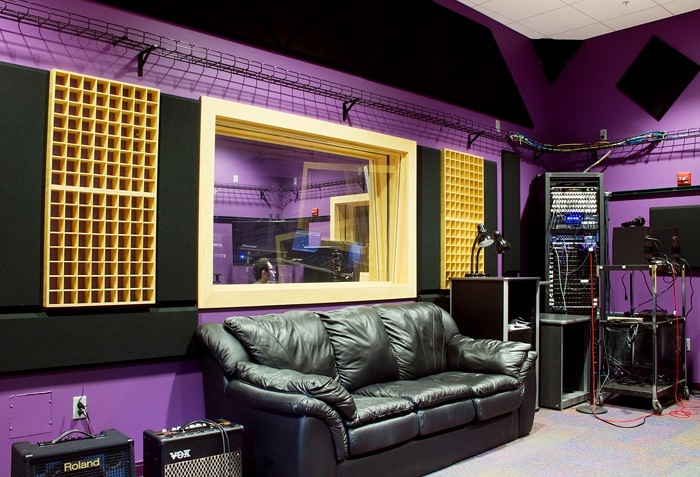 Acoustic Wall panels are offered in a variety sizes, thickness and shapes to meet various acoustical requirements.